Lavender is a common plant that many people have in their gardens. It’s part of the mint family (Lamiaceae) and the herb presents a beautiful, strong fragrance and pretty flowers. In this article, we’ll look at using lavender to repel mosquitoes and if it actually works, or if it’s just a myth. There’s nothing worse than being outdoors, just trying to relax and unwind, only to get bitten by mosquitoes. These tiny insects can cause some major irritation, and will disrupt an otherwise pleasant night. By using an effective repellent, we can solve the mosquito problem. Moisture, heat, skin odor, and carbon dioxide are the things which attract mosquitoes. If you’re hot and sweaty, you’ll be more attractive due to the warmth, odor, and moisture that you’re naturally producing. Another thing that also attracts mosquitoes is the color of your clothing. Mosquitoes have poor eyesight and look for silhouettes. If you’re wearing dark clothing, they’ll find you much easier than those in light colors. 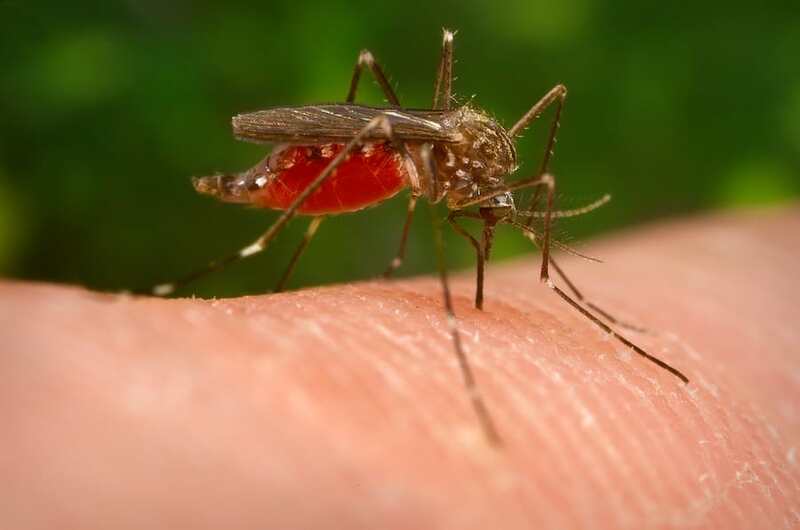 To prevent mosquito bites at the next garden party you attend, you’ll need to make an outdoor repellent that works. There are hundreds of products on the market to buy. The problem is that many of us would prefer to not expose ourselves to the harmful chemicals listed in the ingredients of factory-manufactured repellents. More and more people are choosing to use natural products as alternatives. The good news is that lavender is also great for repelling mosquitoes. There are several ways to use it as a repellent. You can grow it in your garden, use it in scented candles, or in oils to burn. A popular way to use it is to apply the oil directly to your skin. It also has antifungal, antiseptic, and mild analgesic qualities. If you do end up getting bitten, it can also help to soothe the skin as well. Lavender has such a pleasant fragrance, and the plant’s essential oils are ideal for making a mosquito repellent. The scent is not only nice to smell, but it’s long lasting too. Another great reason to choose lavender is that it’s one of the mildest essential oils. It’s safe for use around babies over three months of age—when diluted well, of course. Plus, as it’s one of the mildest essential oils, it can be used on those with sensitive skin. As well as using it as a topical application, or in an oil burner or diffuser, you could also make your own repellents. Make a natural lavender soap that you can wash with before going outdoors. All you need is plain liquid soap and some lavender essential oil. Add 10-15 drops of the oil to the soap and mix it well before use. You can make a spray to use around the home or garden to repel mosquitoes. All you need is a spray bottle, some distilled water, and your lavender essential oil. Add 20-40 drops of lavender oil—depending on the desired strength—to 3 fluid ounces of distilled water. Use the spray to mist in areas you want to keep mosquitoes out of. You can also make the spray using dried lavender. Put three to four cups of distilled water and three to four tablespoons of dried lavender in a pan, and boil them together. Allow the mixture to cool down, then strain the dried plant from the liquid. Add the liquid to the spray bottle and use as described above. You can dab the essential oil on your wrists, ankles, and behind each ear, in the same way you would do with a perfume. This acts as a repellent, as mosquitoes seek you out using scent. This is also great for using on pets too and will ward off several insects—including mosquitoes. Whichever method you choose for using lavender to repel mosquitoes, you’ll find that it’s a very effective, natural solution.